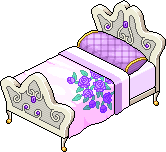 Princess is a range of furniture that has only been released in the Princess Bundle. It was available in Builders Club for a period of time but has now been removed. It is similar to the Elegant furniture that was released earlier in the Elegant Bundle. 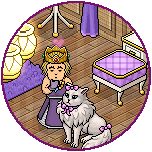 Princess is a purple recolour of the blue Elegant furniture.